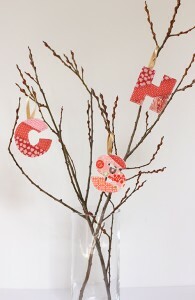 This DIY Fabric Initial Ornament is a great way to personalize your tree. Plus, handmade ornaments make perfect gifts! This is a great way to use up those old fabric scraps into something useful and creative. 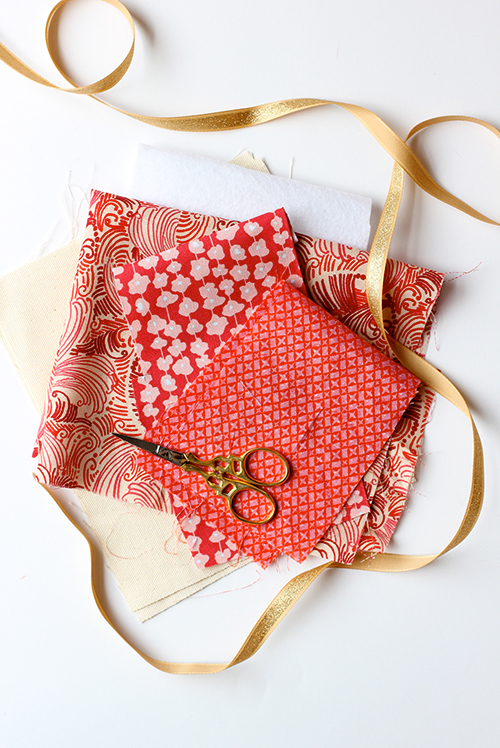 If you love making handmade gifts now is the time to get started, with a little planning you can make a handmade holiday! This month we are sharing over 100 handmade gift tutorials. I have teamed up with Thirty Handmade Days and Your Homebased Mom to share the best homemade gift ideas. We have over 100 tutorials so you will have the best homemade holiday ever! Each day be sure to visit the guest poster’s blog for a chance to win BIG! Up for grabs is a Cricut cutting machine, a Blendtec blender, a Baby Lock sewing machine and a $300 Michaels gift card! Grab a new entry every day! Visit Snappy Tots today to enter to win the Baby Lock Sewing Machine. Hi! I’m Sara from alice & lois. I am excited to share this simple Holiday ornament DIY on Skip to my Lou! 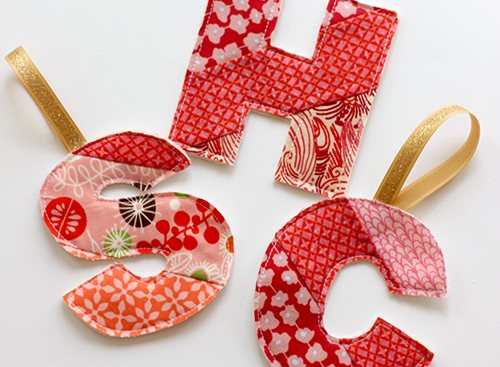 Nothing is cuter than a handmade ornament for Christmas! I make a new ornament for my daughter every year. 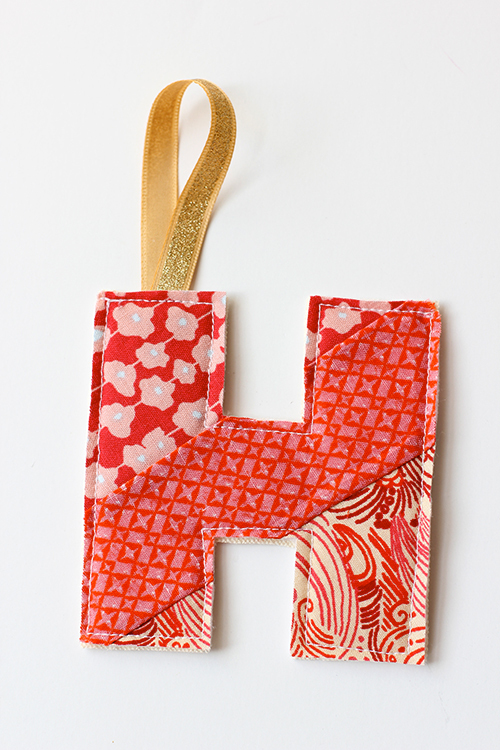 This year I went with a scrap fabric theme and made an initial ornament. Step 1: Cut out initial template. I used Word, Arial Black font, size 350. 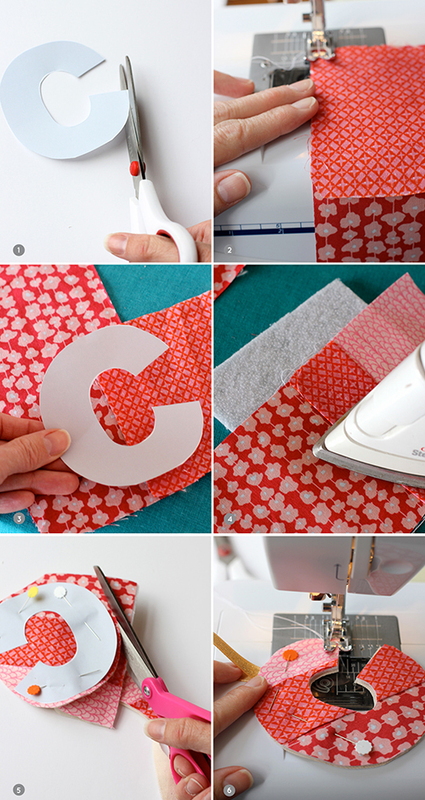 Step 2: Make a 4.5 in x 4.5 in square using scrap fabric. Sew the right side ends to together. I used three pieces of coordinating fabrics. Step 3: Using initial template, determine your design. Step 4: Iron down seams and iron onto a piece of fusible fleece batting to add weight to the ornament. Step 5: Cut the initial shape on both layers of fabric. Step 6: Place and pin ribbon in the top seam. Sew along all edges, leaving raw edges. Sara Albers is the co-founder and co-editor at alice & lois. She and her twin sister share daily inspiration, creativity, style and love to celebrate the good in life. 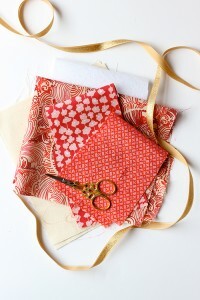 Check out a few of her beginner sewing tutorials: Baby Bibs, Girls Headband, and Kids Drawstring Backpack. Did you apply fusible fleece to both initial halves, or just one side? They don't look thick enough to have it applied to both halves. I'd love to know for sure so I can get started making these! They're so cute! Thank you! I love this idea - it looks so fresh. 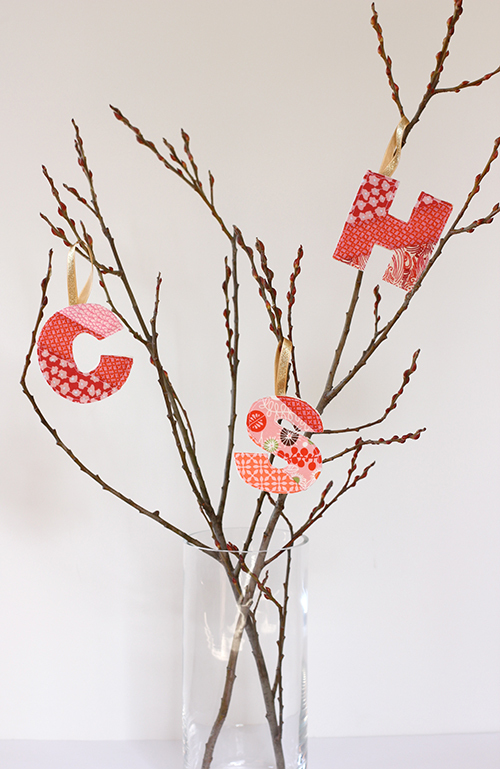 Twig shapes are endlessly fascinating and adding little decorations of alphabet letters looks great. Thanks for the inspiration!